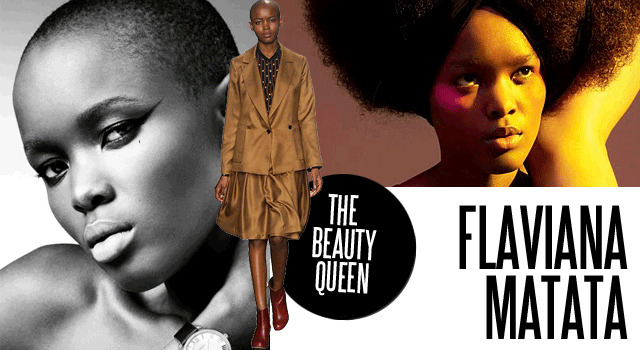 From billboards and catwalks to the glossy pages of magazines, black models are having a moment. 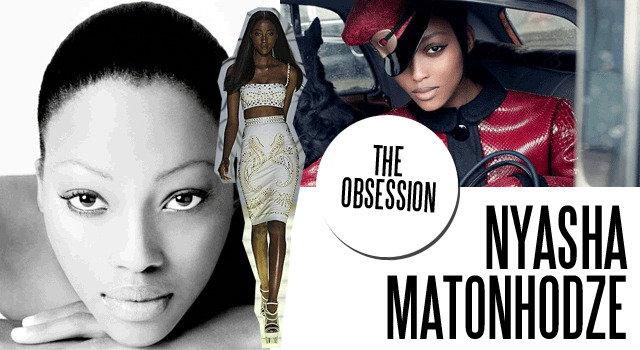 African girls are everywhere in fashion right now. 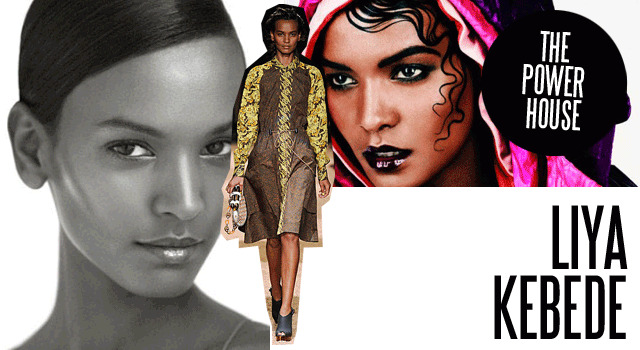 Since Vogue Italia's Black issue in 2008, ebony-skinned beauties have assumed a higher profile on the world's fashion stage. About time, too. 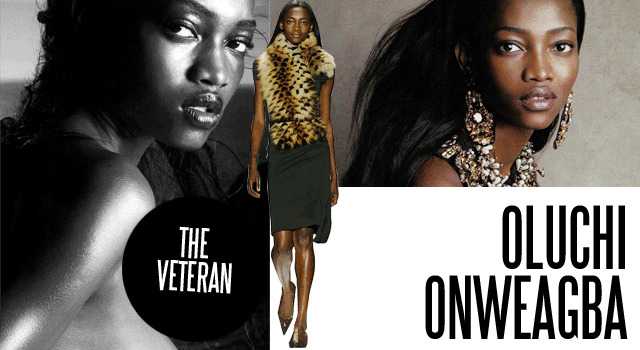 And, this year, every show worth its front row had black African models on its runway and so here is our Who's Who guide to the African models dominating the scene in 2011. Forbes put Liya in the top 15 highest paid models list for 2007 and 2008, thanks to high-earning campaigns from brands like Estée Lauder, rumoured to be worth $3million alone. She is one of the industry’s most established black models, having appeared three times on the cover of American Vogue, as well as the Italian, Spanish, French and Japanese editions of the fashion tome, and in campaigns for Dolce & Gabbana, Victoria’s Secret and Lacoste (remember the polo shirts and evening dresses?). She has also appeared in three films and is the founder of the Liya Kebede Foundation, which aims to reduce maternal, newborn and child mortality in Ethopia and around the world. This model-turned-entrepreneur has her own clothing line called Lemlem, which is stocked at Barney’s, J.Crew, and Net-a-Porter, and which she hopes will preserve the traditional Ethiopian art of weaving. This Miss Universe semi-finalist is not your typical beauty queen, she competed in the Miss Tanzania competition in 2007 with a shaved head; the first ever contestant to do so. Her striking look went on to catch the eye of music mogul Russell Simmons, who helped to promote her public profile and propel her to the top of the modelling game. Early last year she signed with Next in New York and, since then, has appeared in the spring/summer 2011 Topshop campaign and on the catwalk for Felder Felder, PPQ and Louise Gray. She was also selected by photographer Nick Knight to feature with nine other black models in his film tribute to Alexander McQueen, To Lee with Love. There is no way you can’t know her name. Alek is probably Africa’s most famous fashion export ever. She was scouted in 1995 at a market in London, and the then 18-year-old went on to appear in Tina Turner’s Golden Eye music video that same year. After walking for Chanel, Christian Lacroix and John Galliano, appearing in another music video for Janet Jackson, featuring on numerous magazine covers including Elle, Vogue, i-D, and in campaigns for brands such as Clinique and Victoria’s Secret, she was named MTV’s Model of the Year in 1997. Despite being quite mature in the world of modelling (she’s 34), Alek continues to fascinate the industry, walking for Louis Vuitton last season, and featuring on a recent cover of Stylist. Legendary stylist Katie Grand has been obsessed with Nyasha since she she won the Elite Model Look competition when she was 14 and signed with the agency. The buzz around the teen model started last spring, when Grand booked her for three of the biggest shows of the season: Louis Vuitton, Emanuel Ungaro and Loewe. All in Nyasha’s debut season. She snagged the autumn/winter 2011-12 Louis Vuitton campaign and appeared in editorials for Harper’s Bazaar, V Magazine and the autumn/winter 2011 cover of LOVE (which is edited by Grand), then, in September, she walked for Versace, Missoni, Temperley, Richard Nicoll and Giles to name but a few. With a must-see spread coming out in November’s issue of Vogue Japan, Nyasha is the name on everyone’s lips. This statuesque 5’10” model made her first big splash walking for Givenchy in Paris last season. Now she’s gaining more exposure she often gets confused for that other big name Sudanese model - Alek Wek - and even has people chasing after her to ask Alek’s autograph. Despite the uncanny resemblance, Grace is definitely carving her own path in the fashion world, walking for DVF and Suno last month in New York, and she has aspirations of starting a clothing line in her home country to provide local people jobs and showcase their talent. If you don’t know Kinee’s name by now, you should at least know her face. This Senagalese beauty has walked for everyone from Zac Posen and Roksanda Illincic, to Louise Gray - and that’s just this year. Loved by magazine editors and designers alike, Kinee has graced the pages of British Vogue, i-D, Wallpaper, the 10th anniversary cover of Tank, and appeared in campaigns for Diesel and Benetton. Within five years in the notoriously fickle fashion industry, the 5’9”model has accomplished more than most models do in their entire career, and she doesn’t look like she’s going to slow down in 2012. Since Elle Canada put her on its July cover with the headline ‘Naomi, Move Over’, this fresh-faced model has gained a lot of attention. But the comparisons don’t end there, she is often referred to as a ‘black Kate Moss’, or compared to model Grace Jones. At 16, she is already being considered an icon by industry insiders like photographer Steven Meisel, who shot her for the cover of Italian Vogue with Freja Beha Erichsen and Arizona Muse. Having also appeared in an installment of short fashion films entitled This One for CK One, this self-proclaimed shy girl is getting over her insecurities and plans to make an appearance on the cover of every fashion title in the world within two years. Omg its true , I totally forgot about Ajuma. Great compilation! I would also have loved to see Ajuma and Ajak, but its still a great effort and very well put together. Well done!! !